Alatas, V. et al. 2010. “Targeting the poor: Evidence from a field experiment in Indonesia.” American Economic Review, 104(2):1206-40. Molyneux, M. 2006. “Mothers at the service of the new poverty agenda: Progresa/Oportunidades, Mexico’s conditional transfers programme.” Social Policy and Administration, 40(4):425-49. Prabhu, K.S. 2009. “Can Conditional Cash Transfers Work in Rural India?” Wall Street Journal, 15 July. Standing, G. 2011. “Behavioural Conditionality: Why the Nudges Must Be Stopped.” Journal of Poverty and Social Justice, 19 (1): 27–38. 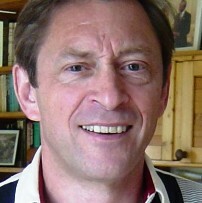 Guy Standing, a British economist, is Professor of Development at the School of Oriental and African Studies, University of London. He is former Director of the Socio-Economic Security Programme of the International Labour Organisation, and is co-president of the Basic Income Earth Network that promotes the right to a basic income. His latest books are “The Precariat: The New Dangerous Class”, (Bloomsbury, 2011) and “A Precariat Charter: From Denizens to Citizens”, (Bloomsbury, 2014). He is currently engaged in conducting pilot basic income schemes in India.